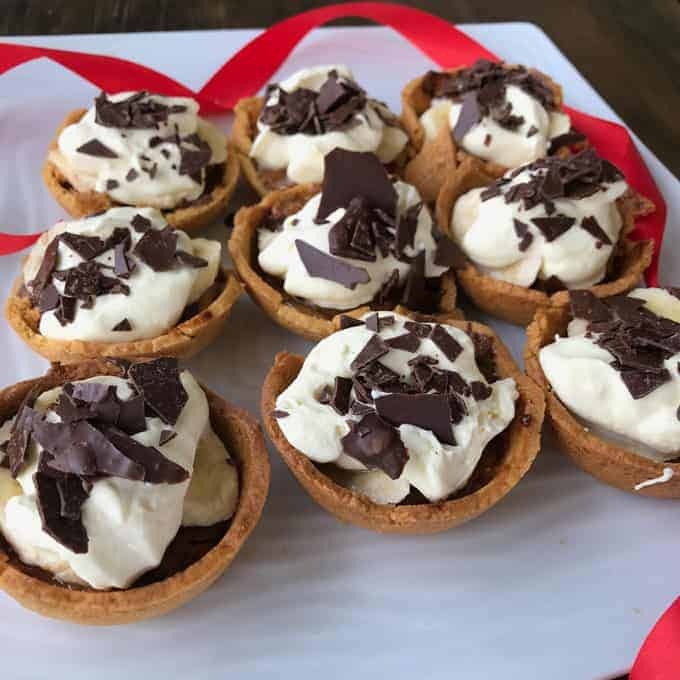 These mini banoffee tarts only have five ingredients and are super quick and easy to make. 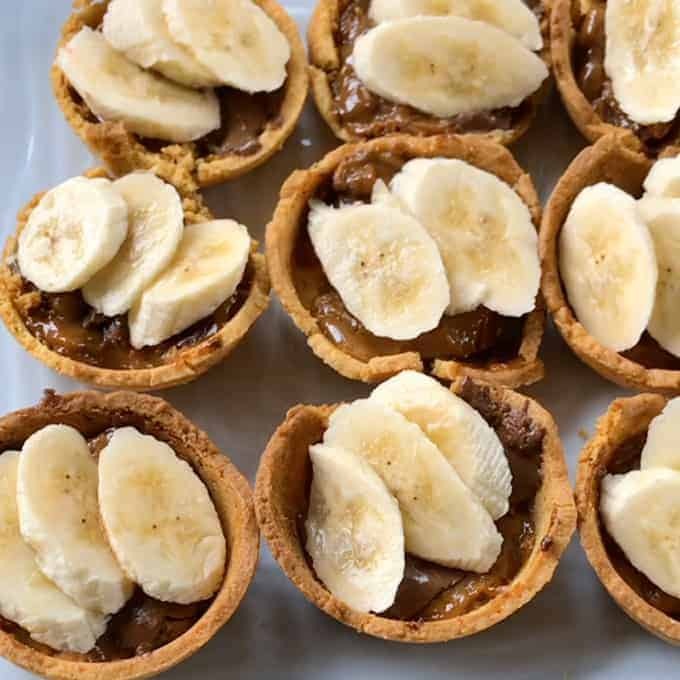 You can’t beat a banoffee tart and these mini ones are so delicious. 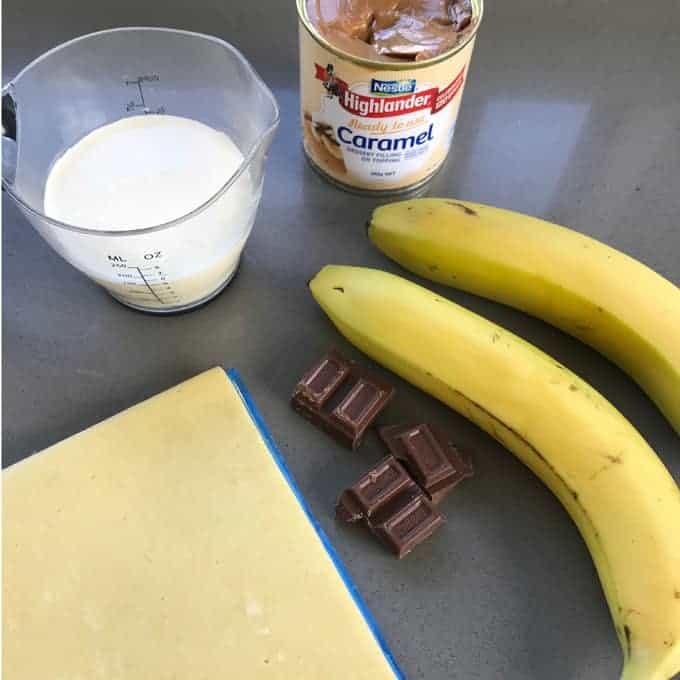 I made mine with sweet shortcrust pastry, canned caramel, chocolate, bananas and whipped cream. 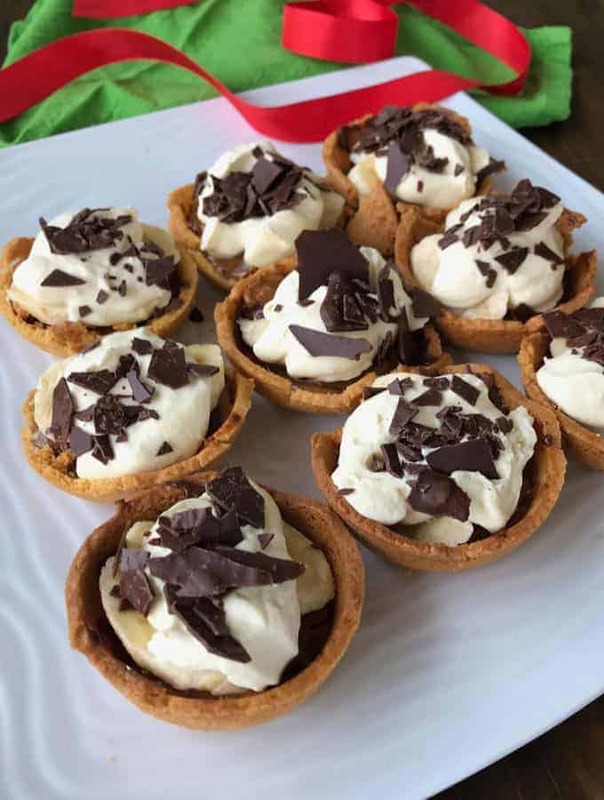 You can make these tarts even quicker by using pre-made tart cases, then it is just a matter of assembling all of the ingredients. I like to heat my caramel with the chocolate pieces in the oven so that they become gooey and delicious. 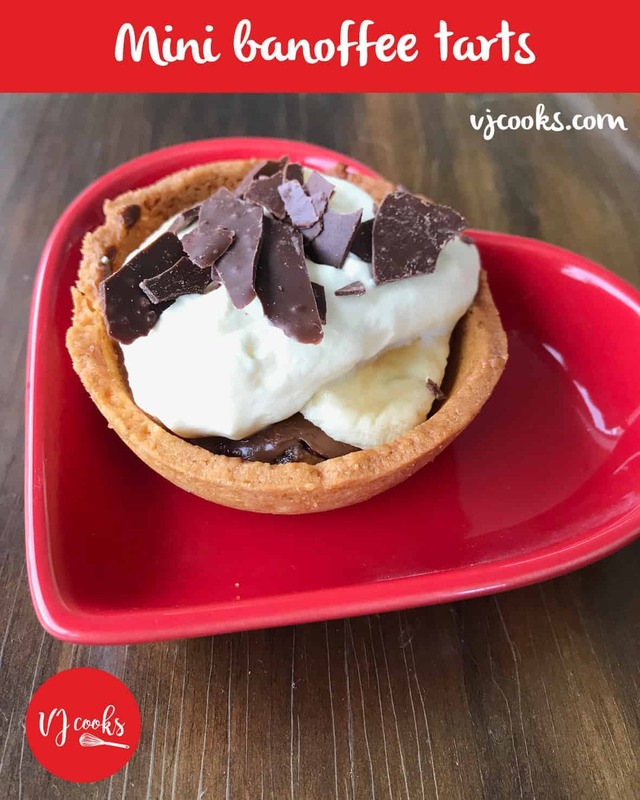 Serve with whipped cream on top and then scatter over some dark chocolate shavings or crumble a Flake chocolate bar over the top. This recipe also works very well with strawberries instead of bananas on top of the caramel in the tart. Preheat oven to 180°C fanbake. 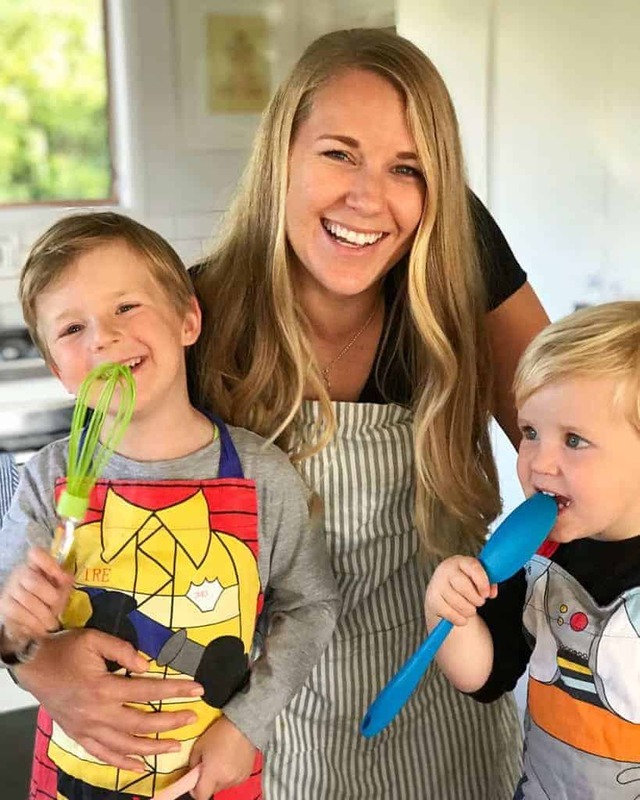 Prepare a muffin tin with lots of cooking spray or line each hole with baking paper, the pastry cases can be very hard to get out once cooked. 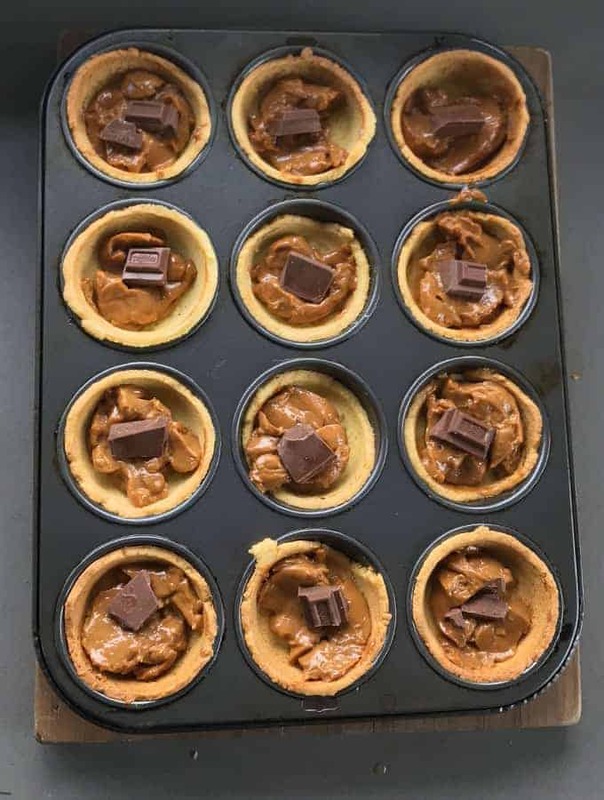 Remove from oven and add one large tablespoon of caramel and 1 square of chocolate in each pastry case. Bake for 5 minutes until melted and pastry is cooked through. 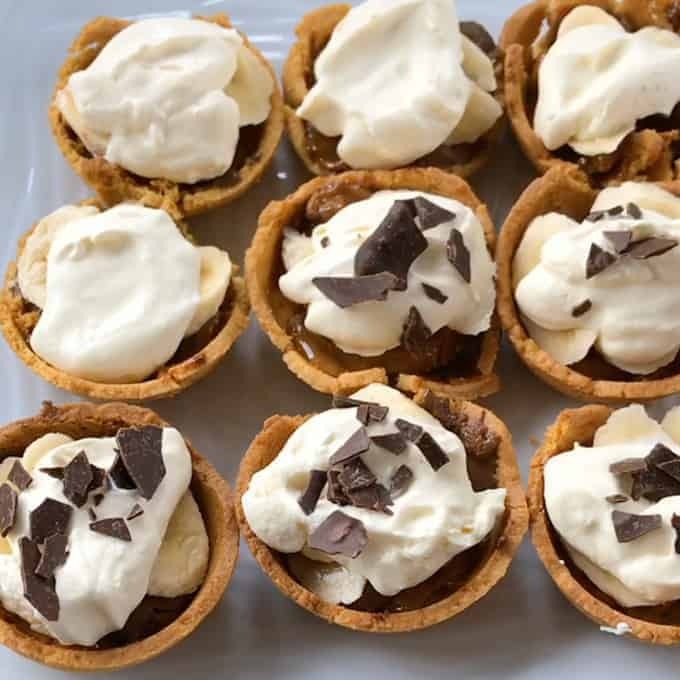 Once cooled remove tarts from tray, arrange sliced banana on top then a dollop of whipped cream. Scatter with chocolate shards or flake. This recipe also works well with sliced strawberries. 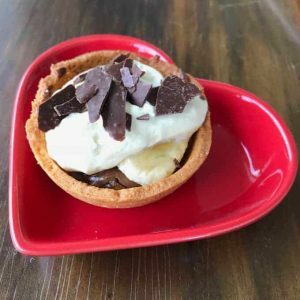 You can use pre-made pastry cases and skip the baking part.